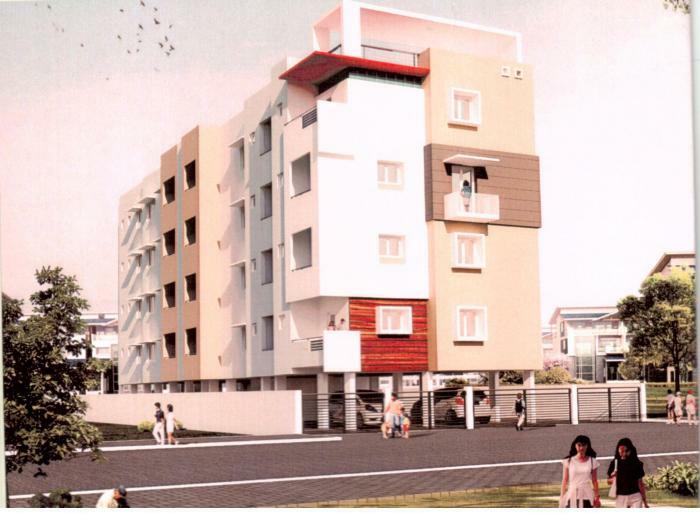 Orchid Elite is a renowned housing project of Lumbodhara Promoters placed in Tatabad, Coimbatore. This project offers a well-equipped variety of flats, it's a housing project that is entirely set to express what life should be like in the exclusive space. Orchid Elite carries to you luxury place in Coimbatore filled through a number of facilities, it will make your standard more pleasant and raise grace, Orchid Elite also providing healthy & relaxed lifestyle, the project has been designed keeping each requirements of yours in consideration. In this residential venture all facilities are available, like swimming pool, tennis court, gymnasium, Party hall, indoor games, children play area, jogging track, security and electricity back up. Without compromising your living style you can enjoy yourliving here to make a memory time with your families and friends. This project is offering 2 BHK & 3 BHK houses of different areas, areas covered in these homes starts from 1350 to 1350 & 1795 to 1795 separately. Orchid Elite is currently in Ready To Move In stage. Lumbodhara Promoters is a top name in business in None. The team is locally known None builder for value for money societies and prompt possession of budget projects. Upcoming builder with a established local presence. It has till now handed over 1 projects across residential and commercial projects and is working on approximately 1 societies. Review of Orchid Elite, Tatabad? Its price, location, builder etc. Review of Lumbodhara Promoters, Tatabad? construction quality, trustworthy, delivery history etc.? Review of Orchid Elite, Tatabad location? neighbourhood, connectivity, schools etc.? Comparison of Orchid Elite, Tatabad to nearby projects? Is it rightly priced? What is your feedback on this Orchid Elite, Tatabad? Depends on brand name and complete the project in time etc? Will this be a better option for investment or to live in Orchid Elite, Tatabad? Can you give some suggestion? Is the Orchid Elite, Tatabad has more potential in terms of capital appreciation, ROI, Rentals, Proximity to social infrastructure etc?